Engagement rings are romantic and can be especially fun when it comes to a trend-driven one. However, despite our love for all things edgy and tradition-breaking, a timeless, classic engagement ring still comes up top. There's just something about a classic silhouette—whether it's a single round rock, round or oval-shaped, or sleek diamonds paired together—that can't be beaten. And the best part about the simplicity of classic engagement rings is that they can match anyone's budget. So while we encourage trying trends, we also suggest keeping their shelf life in mind when it comes to a purchase as significant as an engagement ring. For a ring you're guaranteed to l love as long as you love your spouse, stick with something timeless. Scroll on to see 30 rings that fit the definition. A single diamond for a whole lifetime. Available in sizes 5 to 9.5. Cushion your diamond with tinier diamonds. Gold is a classic too. Classic, but a bit bold. Available in sizes 0 to 15. If you want something other than a round or oval-shaped diamond, go for a classy pear-shaped one. Pricing and sizing available upon request. Go for a more vintage aesthetic. Sizing is available upon request. Let the diamond do all the talking. One of the many reasons a round cut-diamond is our favorite. Don't discard a simple white-gold option. All the classic elements in one ring. 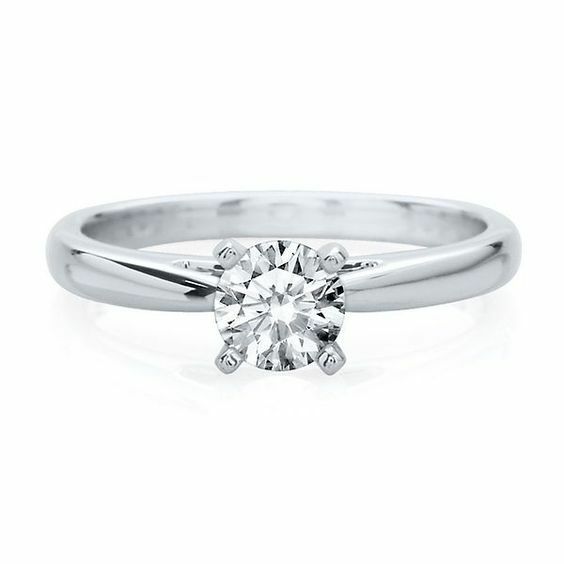 Say yes to this classic solitaire ring. Have fun with your diamond placements. Available in sizes 6 to 8. Diamond-covered bands never go out of style. Available in sizes 5 to 8. Merge two classic styles into one ring. Available in sizes 3 to 13. You'll see this style everywhere come engagement season. A daintier (and shinier) ring will easily go with whichever wedding band you choose. Sizing and pricing available upon request. If you're of the the-more-diamonds-the-merrier mindset. Three rows of diamonds are better than one. Available in sizes 3 to 9. Keep the diamonds halfway around the band for the best of both worlds. Available in sizes 4 to 12. The double band makes this option feel unique. Available in sizes 3.5 to 8. A classic with a twist, literally. The more twisted the band, the better. Heart-shaped designs will definitely keep the love alive. Available in sizes 4 to 13. Twisted detailing looks even more defined in gold. Available in sizes 4.5 to 8.5. Or with diamonds interlaced too. Twists also pair well with a round diamond center. Available in sizes 3 to 8.